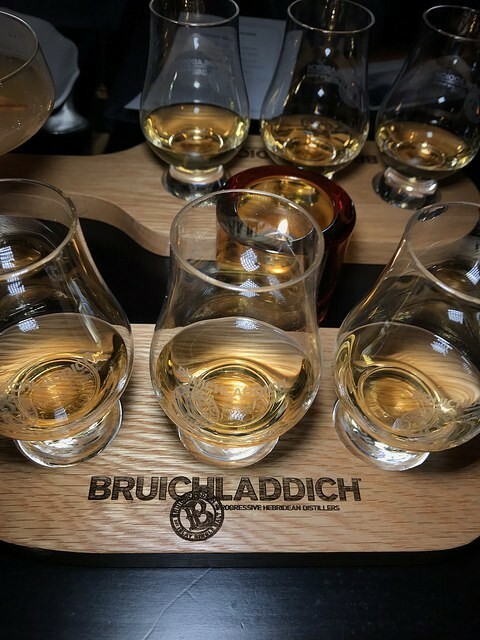 I recently visited The Edmon for a Bruichladdich Scotch Whisky dinner. 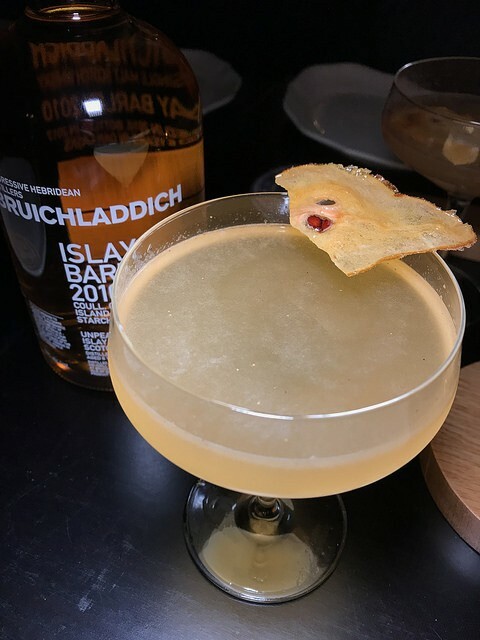 I had the pleasure of meeting the former Bruichladdich master distiller Jim McEwan a few years ago and the juice I had this night was still his handiwork. He has since passed the torch on Adam Hannett who is doing great things with the Islay distillery. I look forward to tasting his work in the future. The Edmon is at the Hollywood Historic Hotel. The hotel had a cafe but it was located in a different part of the hotel. In what is now The Edmon was originally Edmon’s Unique Furniture and Stone Gallery in the 70s. Eventually Edmon Simonian, a master wood worker, would buy the building and restoration commenced. The bar is a beautiful tribute from Edmon’s children to their father’s work. We were greeted with this lovely welcome drink made with Botanist gin which also comes out of the Bruichladdich distillery. 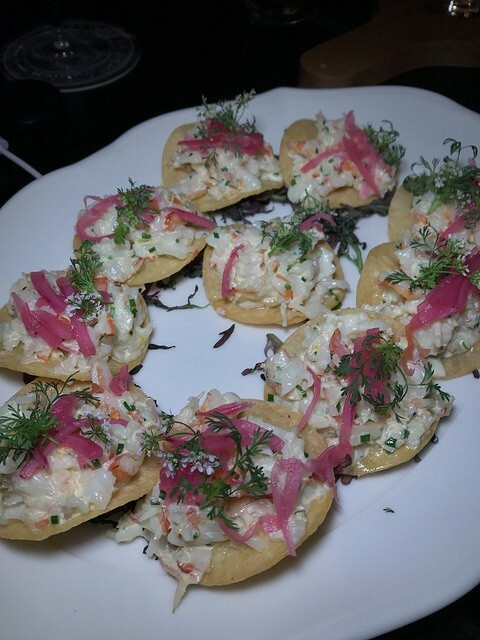 Although not labeled as such, I’m calling these shrimp thingies tostaditas. With poached tiger shrimp topped with pickled onions, Meyer lemon, cilantro flowers, this was a really delicious starter to go with the welcome drink. We also had Ora king salmon with braised cabbage as an appetizer. I liked the citrus and fennel in this dish. I thought the cabbage was an unusual choice and was quite happy with eating just protein and veg. But some opted to put this on the crostini that arrived a beat or two later. 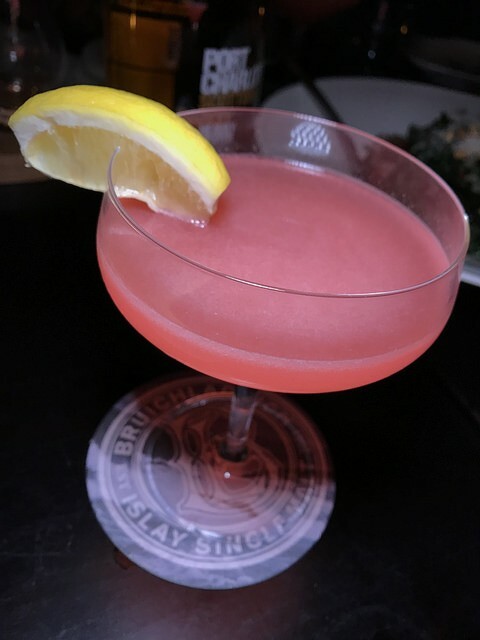 We tried the salmon with the Classic Laddie (the beautiful blue bottle). 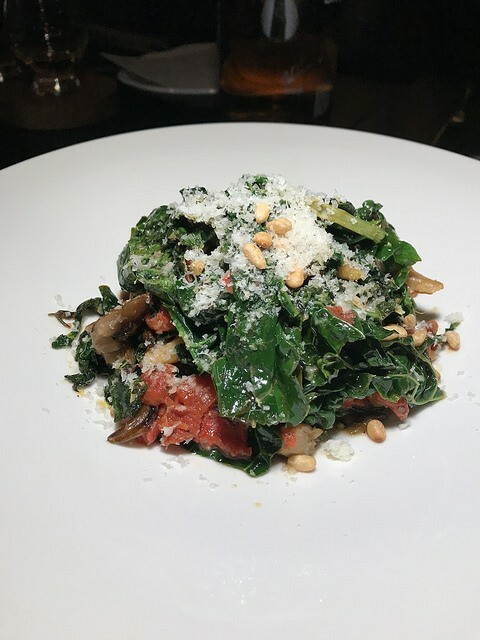 Although I had known the food was going to be good at the Edmon, I was still surprised a bit how great everything was so far and the the plating was especially very well done. 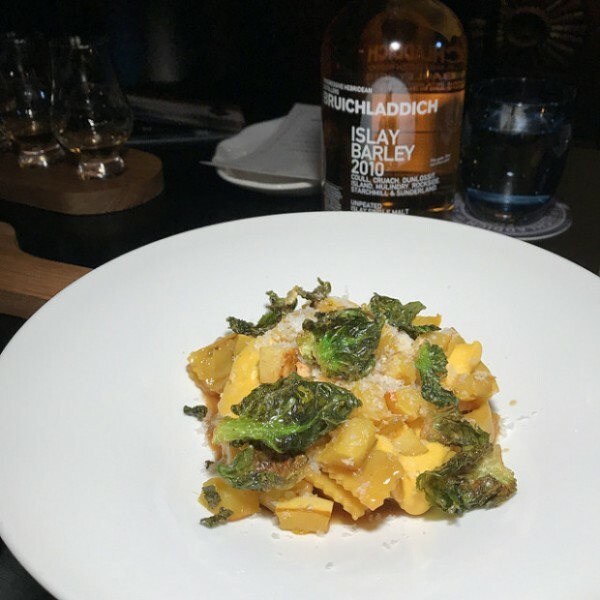 The duck confit agnolotti with delicata squash and a pretty sprinkling of Brussels sprout leaves was too perfect. Chef Trevor La Presle is one to watch! 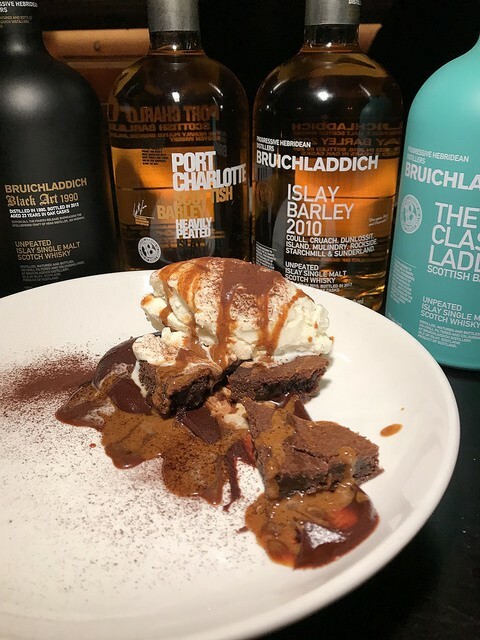 We moved to the Islay barley 2010 with this dish. After I had tasted through the Bruichladdich line a few years ago, Octomore became one of my favorites. Considering how much whisky I’ve had in the last 3 years, it’s still consistently something I consider whenever I see it at a bar. Sadly we didn’t have any with this meal but I think it would have gone well with the next dish- the lamb shank. Still, the Port Charlotte is pretty peaty too! 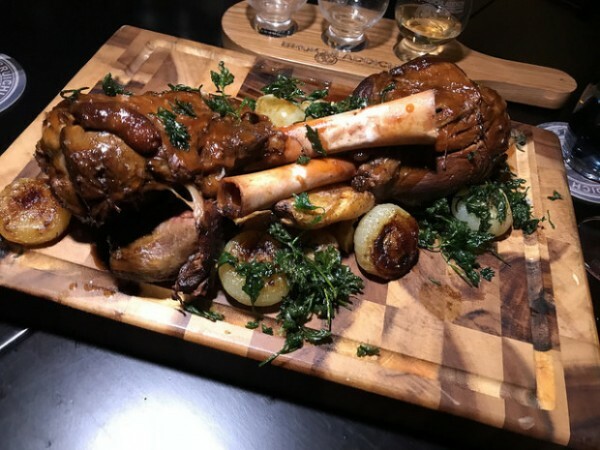 I’m not even a lamb person (I prefer goat if we are talking gamey meats) but this lamb shank with fingerling potatoes was absolutely perfection on a wooden board. The meat was so tender. It was actually not gamey at all. We also had a few sides to go with our meal including mushrooms, Brussel sprouts (not shown), carrots (not shown) and kale. 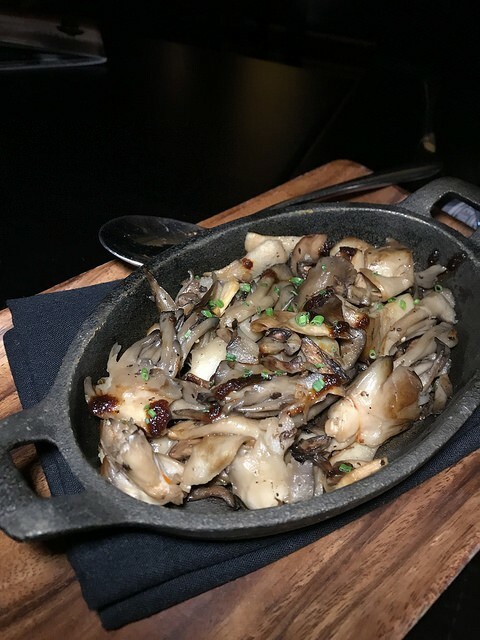 I loved the mushrooms. I was also into the kale. I can’t help the Californian in me sometimes. If you want to fight me on what is the most perfect dessert I had recently, then you need to rush over to the Edmon to try this baby, the chocolate ganache with hazelnut praline (shown above). I don’t even have a sweet tooth but I actually ate more than a few bites of this. Hell, I think I finished the plate. You know what they say when you’re having a good time? More drinks, please! I’ll have to add the Edmon into regular rotation for dinner and drinks. It’s become a new favorite. 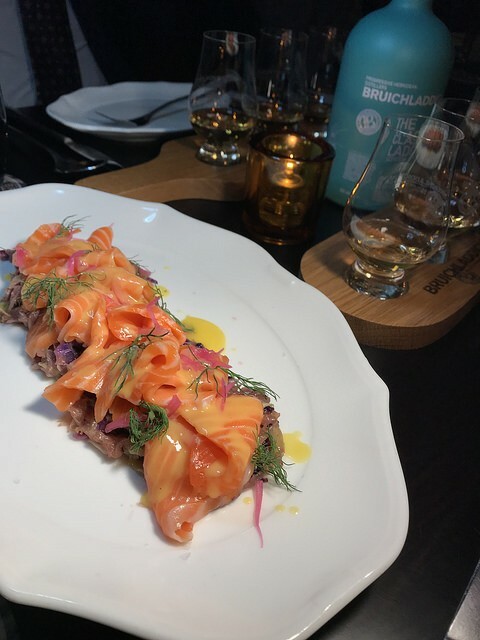 And I’ll have to thank Bruichladdich for introducing me to the food there.